On the beginning of March (March 4, 2016) AGACAD team released new version of application for Autodesk® Revit® MEP users Smart Sprinklers. Working together with one of our client’s, the company ARUP that is a global engineering and design firm, engineers AGACAD developed new features for sprinkler design. 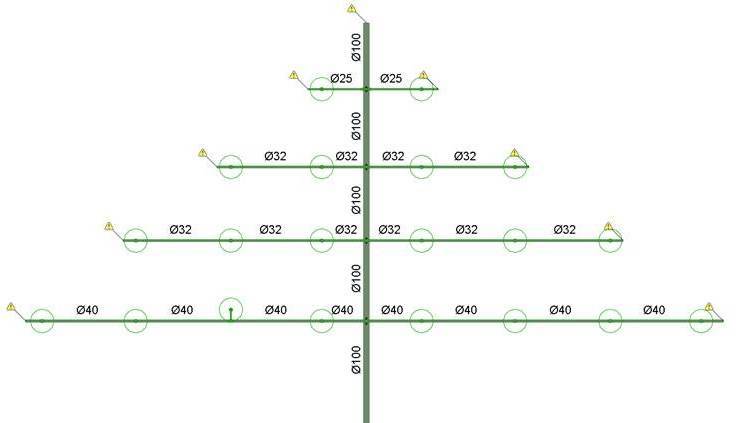 New workflow allows users to use constant pipe diameter for range pipe instead of changing their diameters corresponding to the number of sprinklers fed. Thank you, Anthony, for your insights and help. 1. 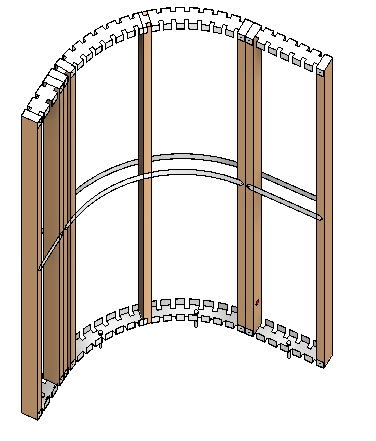 The latest versions of Wood Framing Wall+ from now support Curved Wall. 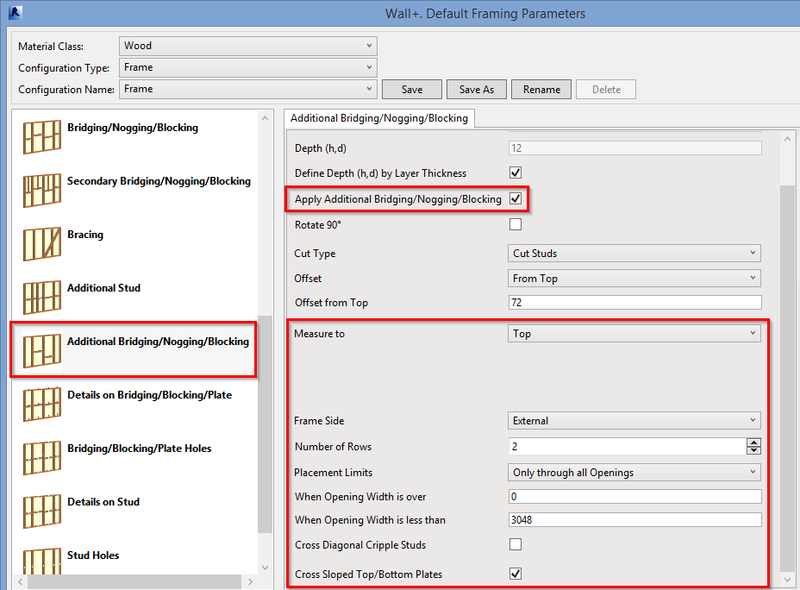 Similar feature is already added to another our BIM solution, Metal Framing Wall+. High performance design is a very important aspect for all building designers, especially those who do framed building modeling. We always emphasize that our company is actively involved in development of new solutions for Revit® in this area. 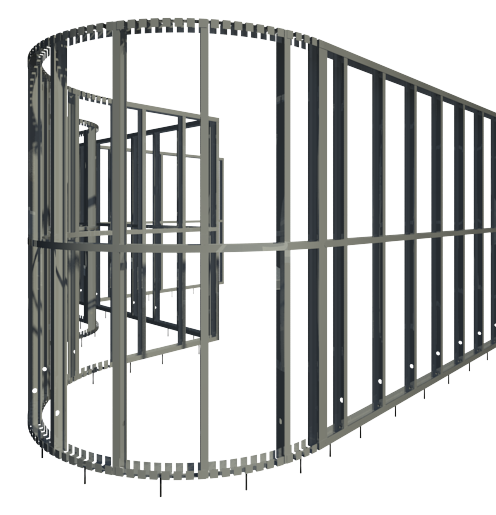 And we finally have good news: we are continuously working on new Metal Framing Wall+ version that will support arched walls and will soon be available! NEW Cut Opening Version Is Coming Soon! AGA CAD company gets a bucket of requests to create some additional functionality for our tools and solutions. Our technical team is looking into every matter and trying to find the most productive suggestions for whole engineering field. At the moment AGA CAD is working on new Cut Opening version. Let me introduce the future features of this BIM solution. 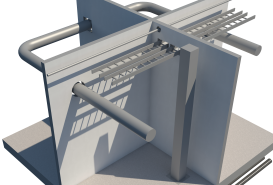 Cut Opening defines and reserves spaces in Revit® models for ducts, pipes, cable trays and conduits. Structural engineers and architects can then review, revise, and create the approved holes with a single click. Suitable openings are designed automatically based on the location and types of clashes detected for MEP elements in current, linked, or IFC files. Currently we are working on the parameterized openings that will be dependent on the main elements’ sizes, insulation thicknesses, auto join configurations, top and bottom offset, etc. In other words we are creating the solution that will cut the openings with dependence on MEP line based element. It is really important that our extensions for Autodesk® Revit® would be relevant to the Revit users' needs and interests especially of our current customers who have active Subscription. For this, we strive to react to our clients' wishes quite carefully. Nonetheless, someday it may be a situation when you try to use some of our products and some functionality that you expect to see in the products may be missing. What do you need to do then? If there's anything missing, please let us know. Become a part of Tools 4 Revit development team! Your comments or questions are always welcome. We understand that it does not matter how much functionality any of our applications has, it will not get any appreciations if it does not relate to particular Revit users' needs or concerns. Therefore, write us an e-mail with described situation or your wish, please. We constantly fill our clients' wish-list and use it when develop improvements and new versions of our products. This way is simply a progress in functionality. Subscriptions are nothing new nowadays. Microsoft’s customers have been purchasing Software Assurance subscriptions for all of their software for years. Autodesk Inc. is also keen to make all its customers on subscription basis. Knowing that our customers’ requirements and needs change continuously, we relentlessly continue to pursue improvements and excellence in our software products both T4R© (Tools 4 Revit) add-ons and AGACAD BIM Solutions. Our subscription period is 1 year. Everyone who is under active subscription can benefit immediately by receiving new updates as well as taking part in our future software development process when offering new features, sharing ideas, testing, etc. We guarantee our Subscribers consulting and assistance on our solutions’ usage and efficient operation. Technical support that provided by AGACAD dedicated team of customer support managers and Certified Revit Professionals. New functionality development after Revit users’ wish list. We work very flexibly. Missing some functionality? If any active subscriber doesn’t find anything suitable for his needs in our standard product range, we can create something special to meet his own exact requirement. Software updates allow you to be up to date with the latest version.